Marketing Automation is an outcropping of the CRM industry that was all the rage in the early 2000s. Companies like Salesforce and products like ACT and Telemagic made it easy for marketers to consolidate, manage and track customer information. Wider access to broadband and the growth of cloud systems have morphed CRM to allow broader marketing capabilities and the marketing automation companies of today have many more features. In fact, the meaning of the term itself is continually changing. The fastest growing market segments in marketing automation today are small and medium sized companies. One vendor, Act-on, calls it the ‘Fortune Five Million’. Enterprise users have largely perfected marketing automation over the past 10 years, building custom systems supported by SAS, IBM, and Omniture (now Adobe). But now, the technology and several talented practitioners have filtered down and created packaged software for companies that couldn't have afforded to build customised systems. These industry players include Marketo, Act-on, Infusionsoft, Hubspot, Net-Results and many more. "Marketing automation consists of software, systems, and tools that allow you to track anonymous users of your website and then tie that anonymous behavior back to specific users once they've identified themselves through an online form or information request. marketing automation suites may include lead generation and nurturing systems, email marketing and social sharing tools, and analytics." Some current thinking takes the concept further. If you call Marketo’s president Phil Fernandez or asked any Marketo employee what the company’s product is, most of them will say ‘marketing automation’. However in his book Revenue Disruption, Fernandez focuses primarily on what he calls Revenue Performance Management or RPM, where marketing and sales meld together to create a consolidated revenue funnel from prospect to sales closure. 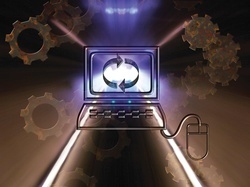 He sees marketing automation as a "critical step on the revenue journey" to a "revenue engine." He even suggests companies hire a chief revenue officer, whose job is to meld marketing and sales. Fernandez's idea goes so far as to suggest that a proper RPM program would allow executives to plan for and increase or slow down sales hiring in future quarters based on information gathered earlier in the sales funnel (which he believes falls under marketing's responsibility). Being able to predict future sales based on early prospect activity could be really valuable to any company. 1. Planning and Ideation - Marketing automation software can be pretty sophisticated, but without executive buy-in, a plan, and training, it is nothing. Justin Gray, my friend and the president of LeadMD is a true marketing automation professional. He once compared marketing automation software to a Ferrari in the hands of a 16 year old driver trainee and told me, "Without proper planning and guidance, there's going to be an accident". I never forgot that. It's true. There are several good tools available to help marketers plan. Professional guidance is often necessary and can be worth the cost. That's just the way it is right now. Tools include mind mapping and planning software and content management systems (well managed content is a key component in today's marketing automation systems). 2. Lead Acquisition - Businesses don't grow without a constant influx of leads. SEO and SEM, content creation systems, website tools, phone, web and field sales efficiency systems, and more are cropping up every day to automate lead acquisition. 3. Sales Closure (Making Sales) - Sales are made on the web, over the phone or in the field and not all of these systems can be automated properly today. But many of them can and many of the tasks necessary to close sales can be automated as well, and thus allow business owners, salespeople and marketers to focus their time more effectively. Tools can include shopping carts, up and cross-sell systems, chat and CRM tools, field network mobility tools and more. 4. Follow-Up and Lead Management - Most prospect encounters involve people who are only mildly interested in your products. There is a long spectrum of interest between a simple website visitor and a buying customer. Marketers must therefore have a ways to categorise and follow up with the people they meet. Should a prospect be a prospect? Should they be added to a simple mailing list? Should their record be noted for a call or email in a week or a month later or a year later? Should they be passed on to another department or product specialist? How ‘hot’ is this prospect and what should happen with them next? This stuff is important and represents the largest leak in most sales funnels. Tools include CRM, qualification (aka lead scoring), and lead nurturing follow-up systems, email, phone, field, and post follow-up systems (yes I mean post office), and more. The idea is to ensure that what needs to be done, after each prospect or client encounter, actually gets done. Many tepid leads will eventually make their way back to the sales closure function. The fact is that without good marketing automation systems, this rarely happens. Good leads often languish and are ignored. 5. Analysis of Results - No marketing automation system can survive without analytics. Do I have to say that you can't know where you're going if you don't know where you are? Sorry, I don't like cliches but I can't avoid that one. Tools include analytics and A/B or Multivariate Testing Tools. The elephant in the room is Google Analytics but many are suspicious of Google and there are vendors that offer alternatives. The information gained through results analysis should go full circle back into planning and ideation to complete the cycle.